What are the alternatives to plastic toys? Plastic toys are pretty much impossible to recycle, so we really should be looking at investing in alternatives. There are many other types of toys to consider including those made from wood, fabric (such as cotton or wool), metal, paper, card and stainless steel. You only have to scroll through social media and search the internet to be presented with a wide range of toys and gifts that are made from materials other than plastic and that are both aesthetically pleasing and ultimately better for your child and the environment. Why are the benefits to this type of toy? They will often be more durable than plastic toys and ultimately last longer. They encourage imagination. Wooden toys for example come in the shape of vehicles, food, or household items (such as a play broom), so they encourage children to use their imaginations when incorporating them into learning and play. They encourage interaction with others as often these type of toys encourage children to use their imaginations and act out real-life scenarios, which will involve playing with others. They are less distracting as don’t generally have the flashing lights and loud noises, like plastic toys tend to have. Children are then encouraged to make their own noises, which is fantastic for both engagement and development. They support problem-solving, encourage hand/eye co-ordination and fine motor skills. Wooden blocks for example provide the opportunity for building towers, carefully placing the pieces so the towers don’t topple over, or threading wooden beads on a string. They are often handmade and Fairtrade and therefore better for the environment. Why are wooden toys good investments? They are timeless –and have been around for centuries and will continue to be around for years to come. They are durable and won’t break as easily as some plastic toys. They are easier to recycle and pass on to others when you have finished with them. Wooden Toys are hard wearing and will last longer than a plastic toy. Wood is solid and it’s much harder for it to be damaged compared to plastic toys which can be more easily broken. Ultimately if we want to continue doing our bit for the planet, we should be buying less plastic and this includes plastic toys. Where can you find this kind of toy? There are hundreds of independent stores selling a mixture of handmade and carefully curated natural non-plastic toys. Many high-street stores also sell plastic alternatives, as well as craft fairs, markets and garden centres. 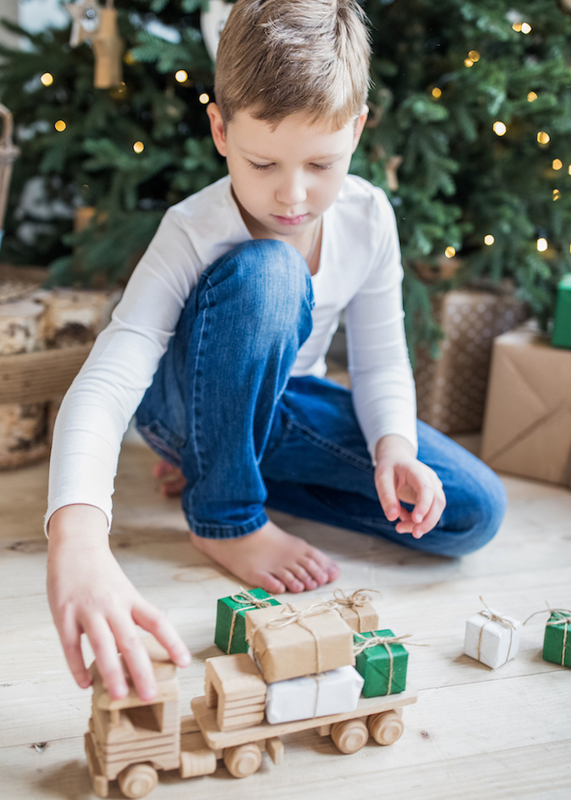 With Christmas fast approaching it is worth shopping for toys and gifts which are kinder to the environment and also last longer than Christmas Day! They also span all age ranges and inventive toys can be found for older children as well as the little ones. What are your top five picks? Shelley has given her top 5 - Click on each one to find out more! Shelley is so passionate about non-plastic toys and gifts that she has offered this fantastic bundle of goodies for baby's first Christmas from Dandelion Den - for one lucky reader to win! They include a garland for baby's room, handmade crochet rattle, wooden cloud hanging mobile, lovely hat, dummy clip, gift tags, and some fab art cards! 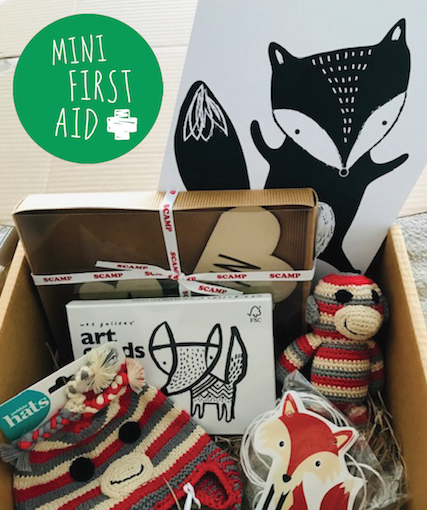 Click here to find out more about Mini First Aid classes. Click here to find out more about becoming a franchisee for Mini First Aid.